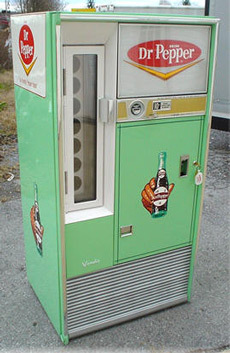 The Vendo Soda Machine Company Was A Leader In The Manufacture Of Vending Machines For More Than 50 Years. 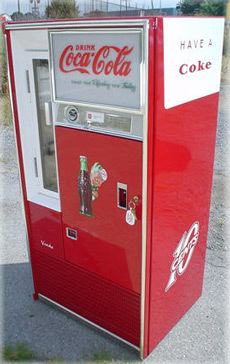 Vendo was started in 1937 in Kansas City and produced some of the most popular retro Americana coca cola machines ever. 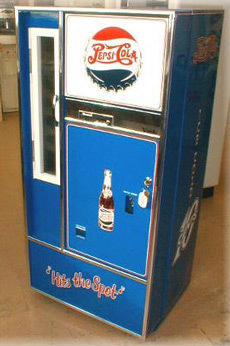 We take great pride in bringing these old original soda machines back to life. All of our machines are restored to better than new condition and include a 2 year warranty. We know our restored machines will be getting every day use so we do everything possible to ensure their reliability. These soda machiens were originally designed to hold small bottles but most models will allow for dispensing of most major new bottles including beer bottles! 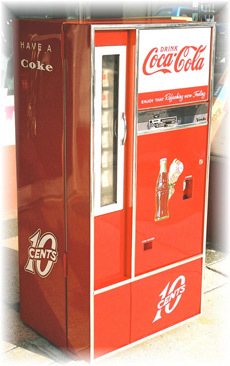 So check out our selection of fully restored vendo coke machines and then contact us to place an order. You Never Have To Read Our Fine Print To Learn What We Do To Our Machines! We Only Do Them One Way And One Way Every Time! Over the years we have had a number of people copy our efforts and attempt to duplicate what we do. We appreciate the compliment, and it reinforces our belief that we are the yardstick others use to compare. However, we do not want customers to be misled into thinking they are getting the same product or products that we are known for producing and standing behind. For this reason, we have created this simple guide to help you compare restorations. Please read their fine print since most companies restore each machine a little differently, doing only what they feel is necessary to get the machine out the door.